Condemned by the city of New Haven, the property located at 31 Hillhouse Avenue had been vacant and neglected for years. 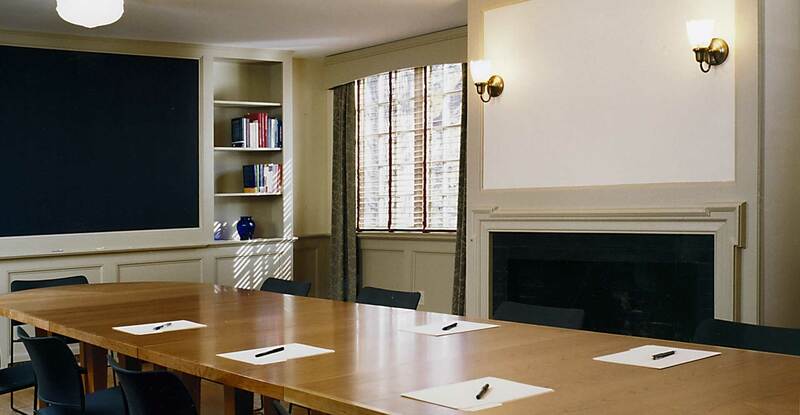 The goal of Yale University was to turn this once magnificent Second Empire home, constructed c.1820, into a fully accessible, modern teaching facility with 15 offices and two seminar rooms on three floors. Kenneth Boroson Architects’ design preserved the historic authenticity while providing accessibility to persons with disabilities. Original window trim and corner boards were saved and existing window sashes were modernized with energy-efficient panes. Copper flashings were replaced, repaired and reset and a standing-seam, lead-coated copper roof was installed. 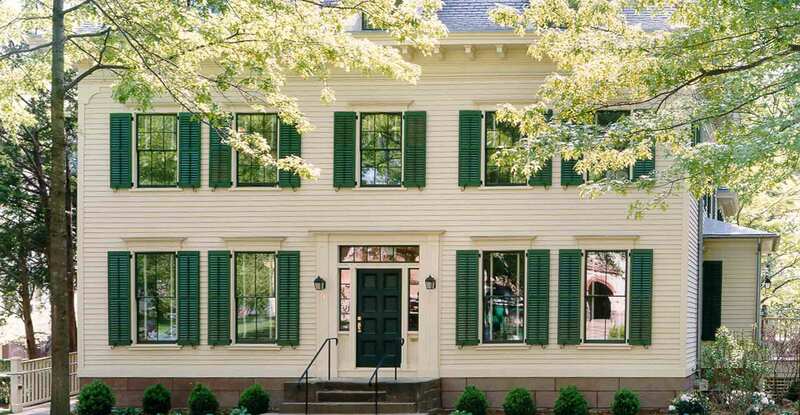 Analysis of the exterior paint determined the original colors of the house and shutters, which enabled accurate color reproduction for the renovation. In keeping with the historic significance of the property, landscape design of period-typical plantings was specified. All historic preservation strategies were discussed with the New Haven Preservation Trust to obtain their support. 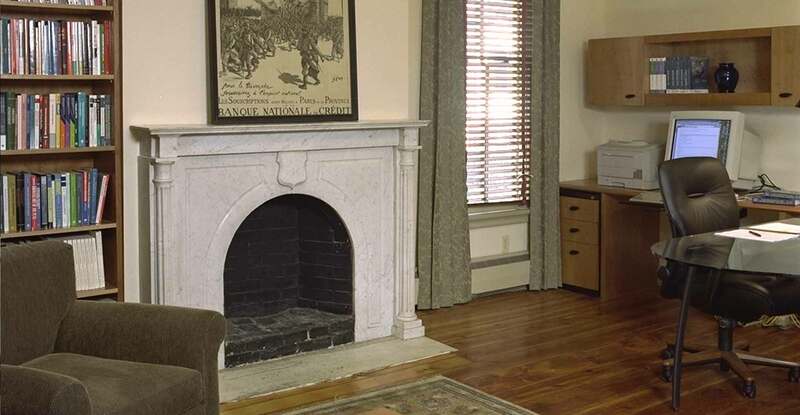 Existing interior wood floor details were recreated or restored, and original wood and marble fireplaces remained as key design elements in offices and conference rooms. On the third floor, original post-and-beam construction was left visible. Mechanical, plumbing and electrical systems were replaced with modern systems, and ductwork for the new forced-air heating system was carefully concealed. 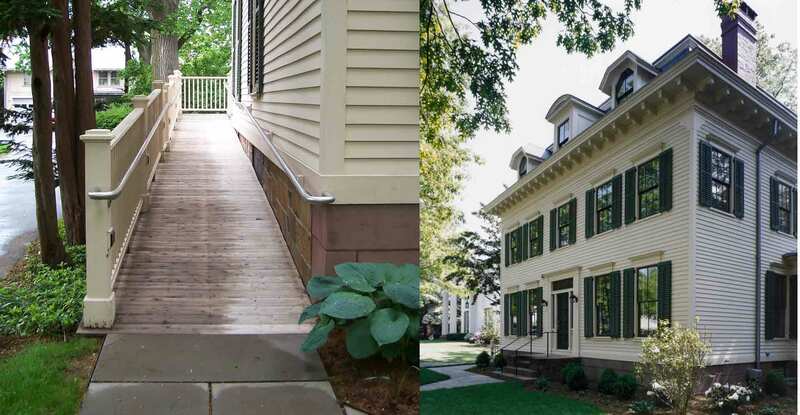 A second means of egress was created and each floor was made ADA-compliant, satisfying mandated building code requirements for both the City and the University. At completion, the University had invested $1.1 million in renovation of the exterior, and $250,000 in interior furnishings and finishes.